Sign up now for Summer Camp 2019! 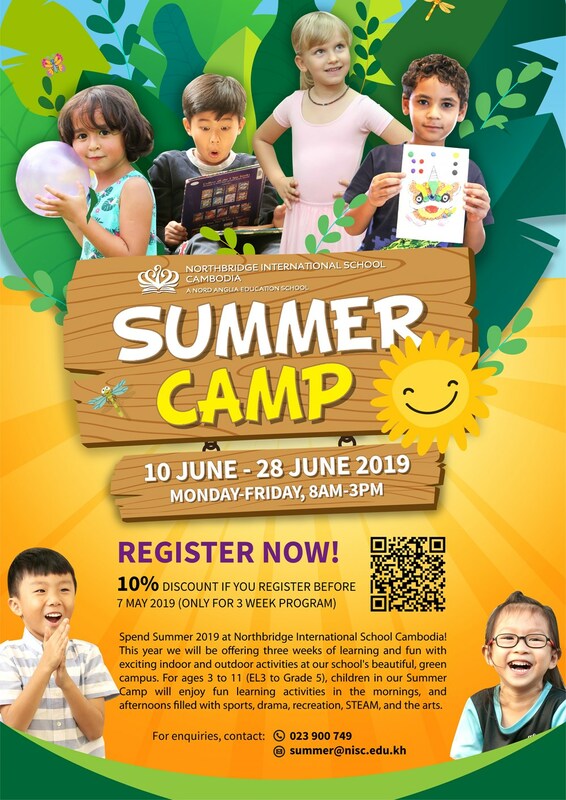 Spend your Summer 2019 at Northbridge International School Cambodia! 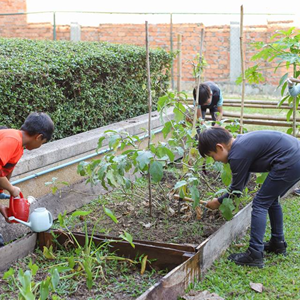 This year we will be offering three weeks of full-day learning and fun with exciting indoor and outdoor activities at our school's beautiful, green campus. 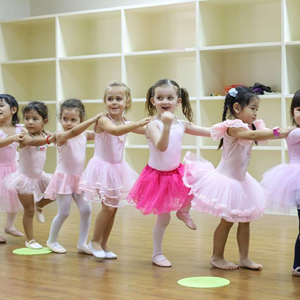 For ages 3 to 11 (EL3 to Grade 5), children in our Summer Camp will enjoy fun learning activities in the mornings, and afternoons filled with sports, drama, recreation, STEAM, and the arts. 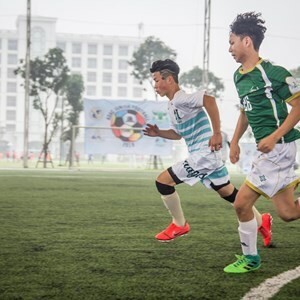 Taking place from 10-28 June 2019, the Summer Camp is full-day, Monday-Friday, 8am-3pm. 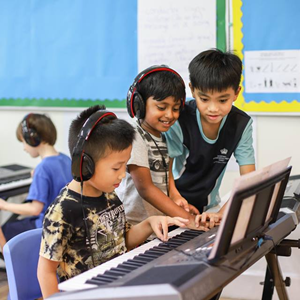 The Summer Camp 2019 is run by the school's qualified and experienced teachers and TAs. STEAM (Science, Technology, Engineering, Art and Math) allows our students to explore both their creativity and technical skills through practical, hands-on problem solving. This course is designed to improve children's daily communication skills in school by reviewing their reading comprehension, encouraging writing, and storytelling. Our program reviews your child’s math from the last year, as well as preparing them for their next Grade. From mastering number facts to solving problems, while still having fun. Campers will be introduced to the fundamentals of drawing, painting and print-making, meeting the needs of both absolute beginners as well as accomplished student artists. Making the most of Northbridge’s extensive grounds and pool, campers will have fun with basketball, soccer, volleyball, tennis, swimming, fitness training and other fun games.